The LED String Light is a functionally versatile, can illuminate your room, creating ambience and mood with a flip of a switch. Cost-effective and energy-efficient with direct plug-in power. The lights are moldable and can be wrapped around almost anything, i.e. stairs, tables, chairs, balcony, or bedroom, anywhere you can imagine. Connected by an insulated copper wire, it won't overheat even after long hours of use. 1. Put the stake onto the tube at back. 2. Find a place for the light with clear and full exposure to the sun. Insert the stake into ground. If the ground is hard, do not twist or hammer with force. This may result in item damaged. 3. Expose the solar panel to sunshine. Make the solar panel faces right to the noon sun. 4.At the back of the light, there are two push switches: "ON/OFF", "Flash/Constant" light. For initial application, we suggest the solar panel be exposed to the sun fully charge the battery for 1 day or more. 2.Check the light at night or dark. If the light on but not last long, this means insufficient power storage. Full charge the light under direct sunlight at least 6 hrs. Hassle and electricity free: The adjustable tilt of the solar panel allows you to adjust the solar panel towards the best sunlight. It charges and recharges easily with direct sunlight and lasts at least 8 hours after fully charged. No more looking for outdoor extension cords or outlets since it is solar powered, and no more having to remember to turn on and off everyday since the automatic built-in sensor takes care of that for you. 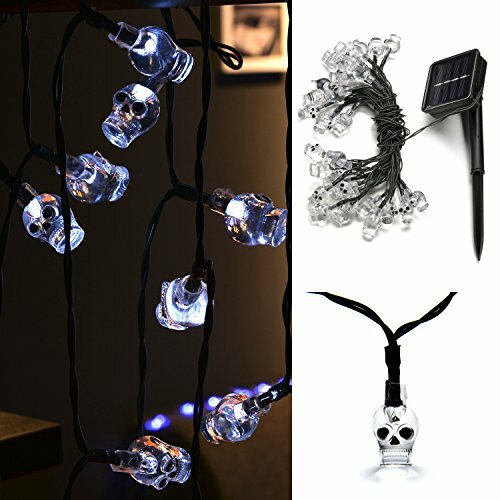 Eco-friendly Firefly Light: The insulated copper wire keeps the lights at a low temperature so they are safe to touch after many hours of use. Super compact: They come neatly packed in a small, sturdy box that can be saved to repack them if you use them seasonally and have the patience to fold them back up. It is easy to remove them from the box and to hang them because they are folded nicely and not tangled when originally packaged. Durable and Bendable: Made from thin and bendable copper, 20 feet length, durable enough to expirement with any shapes. View More In Seasonal Décor. If you have any questions about this product by Weanas, contact us by completing and submitting the form below. If you are looking for a specif part number, please include it with your message.